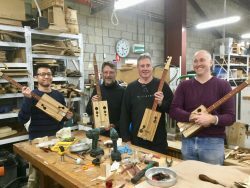 This course is guaranteed to get you hooked on the pleasure of making and playing your very own CBG. As all who have made one will attest – ‘No one ever makes just one CBG’. The thrill of tracking down the components and putting it all together for that raw, crunchy, bluesy sound, is what drives all CBG makers. 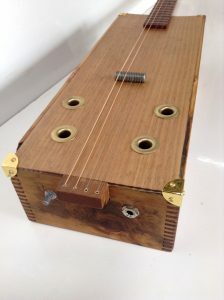 And it doesn’t have to be a cigar box – old wine boxes, biscuit tins, fuel tins, hub caps or bedpans all contribute to the uniqueness of your guitar. 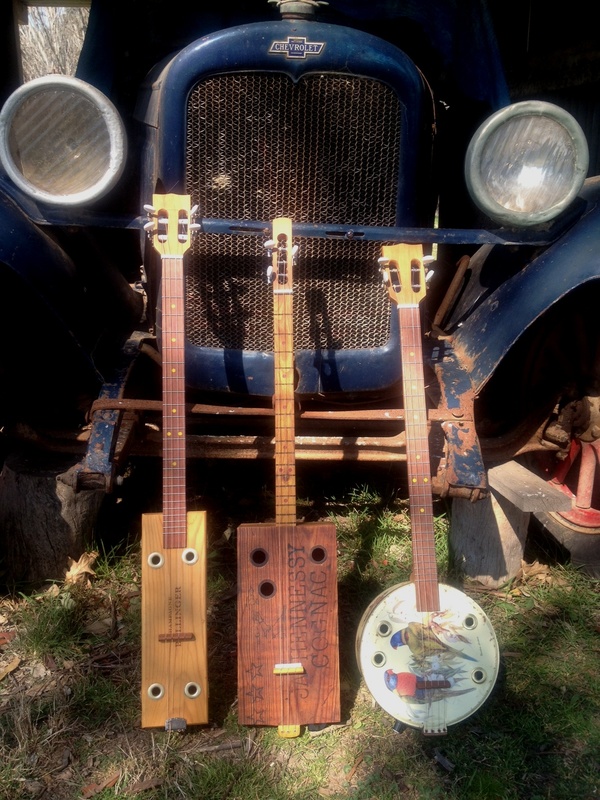 And it doesn’t have to be a guitar – a ukulele or banjo can be made in the same style. Nothing much beats the satisfaction of making and playing your own guitar. 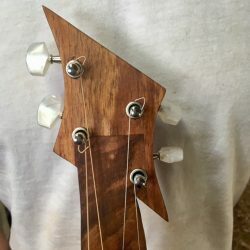 The course could be a great gift for a budding or frustrated muso. 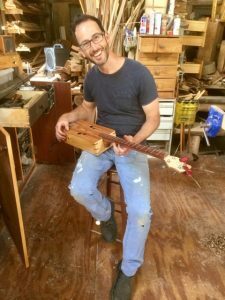 Check out Ross playing a Bollinger Box guitar, a fretless 3 string in a bottleneck style and the same CBG in a Dobro style at the bottom of this page. Materials: All supplied but you are encouraged to source your own box, tin etc. Geoff Tonkin’s musical career began 40 years ago with the gift of a guitar and his fascination in learning to play all sorts of instruments has never ceased. 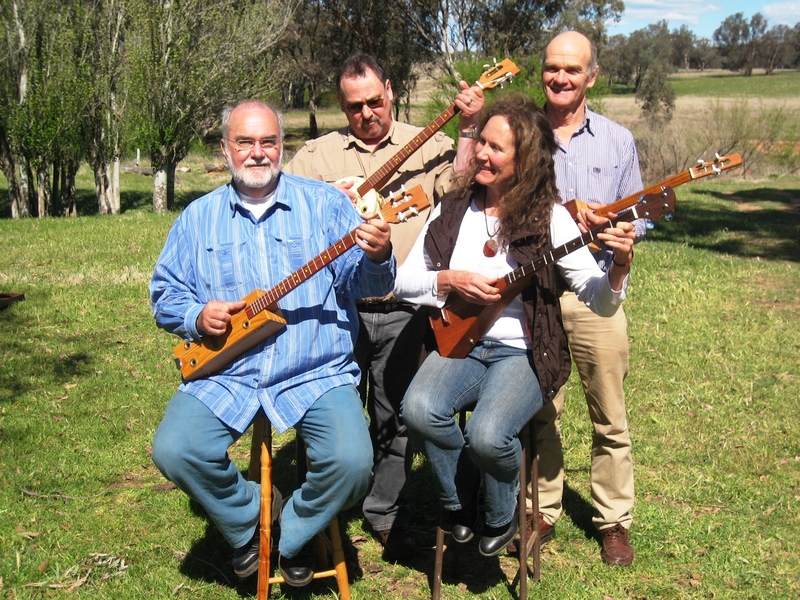 In 1981 he was a founding member of the popular NSW Central West bush band, November Shorn, which after 35 years still delights audiences from Bathurst to Bourke. 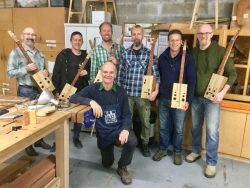 In the group, Geoff plays button accordions, harmonica, tin whistle, didgeridoo, bodhrán and lagerphone as well as singing and calling the dances. 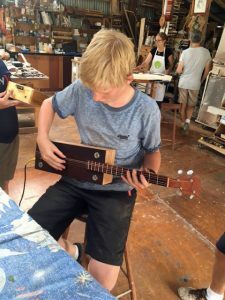 As a recent graduate of the Sturt School for Wood, he is now exploring the fascinating world of instrument making. 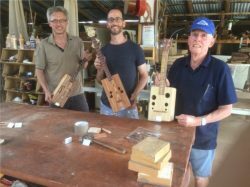 This includes harp making at Harps and Harps in Gosford and guitar making with Gilet Guitars in Sydney. 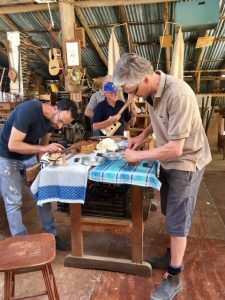 These days Geoff works as a freelance furniture maker / instrument maker / teacher and musician near Molong in Central Western NSW.